I liked this book, it was good and it was different from other books I´ve read. This was a funny read. It was cool to read a book from a boy´s perspective and how he thinks. This is not a romantic book in any way so if want romance you should not read this book. Though there is a girl, the romance is not the focus in this book. 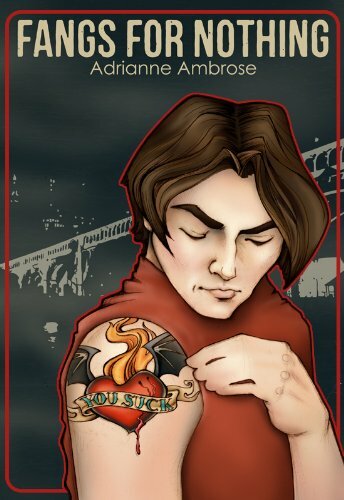 This book is all about the strange Vampire under the bridge and about friendship and the insecurities of being a teen. Because even boys have them about girls and looks and stuff like that. It was a nice book that I enjoyed reading. Sometimes you really do need to get out of your comfort zone. You might get surprised at what you find between the covers. i would not say go out and buy it right now but it is definitively an enjoyable read.